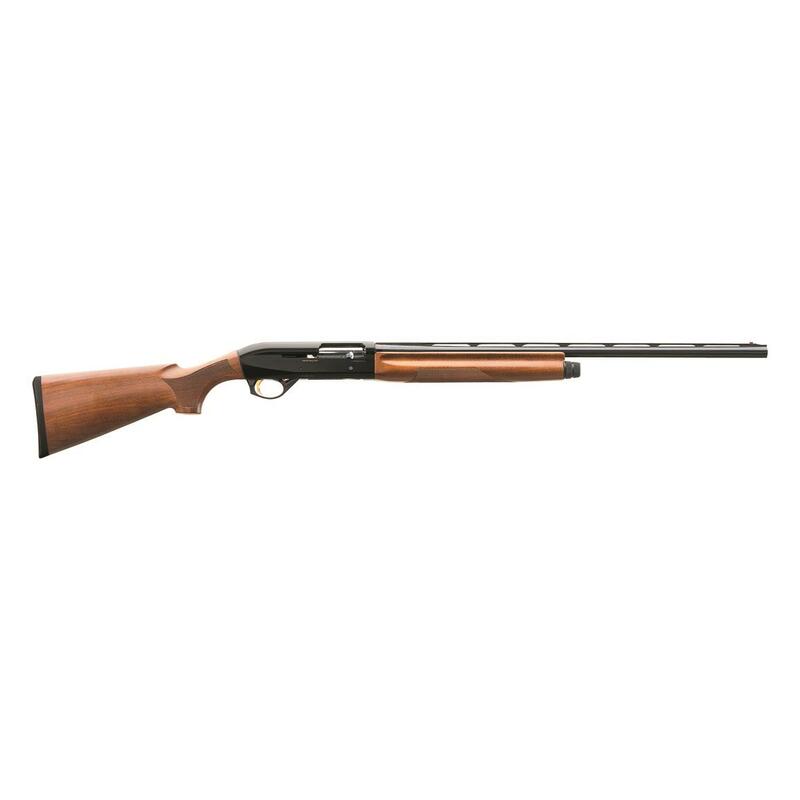 Benelli’s Montefeltro shotgun features a slim, graceful forend, which, combined with an anodized, lightweight receiver, keeps the weight minimal and the swing quick. In addition to minimizing weight, the Inertia Driven system can switch from field loads to 3” magnum loads without adjustment—making it perfect for New England woodcock to Louisiana pintail. Developed in 1967, Benelli’s Inertia Driven system is simply the best operating system ever created. Its rugged simplicity makes it lightweight, clean-running, ultra-fast, and drop-dead reliable. Some Inertia Driven Benelli shotguns have fired 500,000+ rounds and STILL function perfectly—a testament to its unflinching durability. The Montefeltro features the same Inertia Driven system you know and love, but with one very smart upgrade: the Easy Locking System. A spring-loaded locking detent guarantees that the rotating locking head always seats properly—even when you gingerly close the bolt or nudge the bolt handle—making it impossible to disengage the bolt. Benelli utilizes cryogenic technology to freeze their barrels and chokes at -300°F. Such extreme temperatures actually change the metal at a molecular level, relieving stresses caused by the hammer-forging process and creating a smoother and more uniform surface. CRIO barrels move more consistently shot-to-shot, delivering denser patterns with 13.2% more pellets on target. In addition to more consistent firing performance, cryogenically-treated bore surface offers less resistance to the wad and shot charge—keeping the barrel cleaner, longer. Chamber: 3" and 2 3/4"
Beretta A400 Lite Synthetic, Semi-Automatic, 20 Gauge, 26"
Benelli’s flagship autoloader is back and better than ever. An all-purpose workhorse with pedigree. For slug-hunting, Silver takes home the gold!